As we look ahead to our goals and milestones for 2019, we also wanted to take a look back at one the project highlights for 2018. 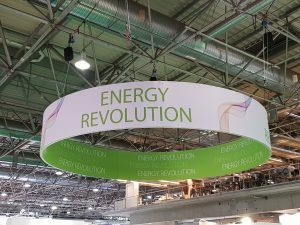 In early November Vienna, Austria saw the gathering of some of the world’s biggest players in the energy sector for European Utility Week 2018 and DELTA was among the extensive list of 650 exhibitors. 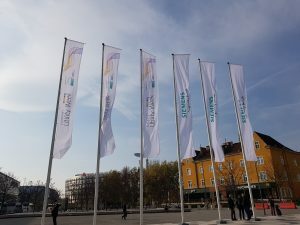 From the 5th to the 8th of November the Messe Wien Exhibition and Congress Centre near the banks of the river Danube was transformed to accommodate 12,000 visitors all keen to learn about and engage on the latest developments in the energy and utility sector. DELTA was one of only 24 EU-funded projects to appear in the EU projects zone of the exhibition. The EU projects zone would serve as a hub for innovation and networking throughout the exhibition. With all of the projects at various stages of progress, the area attracted a host of interested stakeholders; investors eyeing new innovations and academics and SMEs looking to network and collaborate. 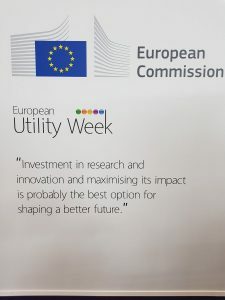 European Utility Week’s tone was set from the get go. The opening key note speeches a hint at what people wanted to speak and hear about over the course of the following days. Consumers at the center of the European energy market and the move away from a top down approach of centralized utilities was spoken of through the potential of digitalisation. 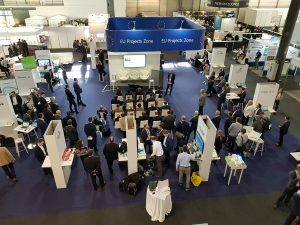 A consumer-centric model was evident through many of the stands throughout the week, both from multinational, established players like Siemens or the Elia Group to small enterprises or projects. DELTA had many opportunities to engage with stakeholders at the event. Our stand was manned by partners from CERTH, Carr Communications and e7 each day to network and answer questions from anyone interested in the project. 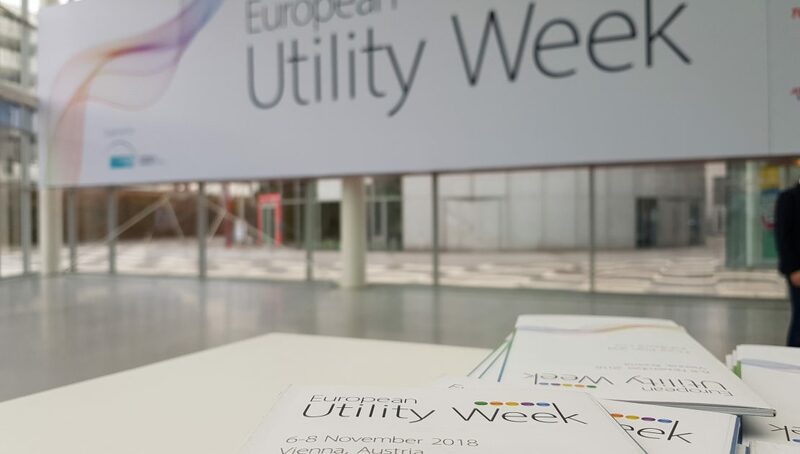 European Utility Week was also a great venue to circulate questionnaires which would feed into our business and use cases for the DELTA framework. 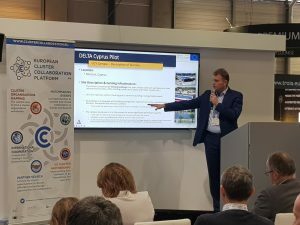 We had the opportunity to present DELTA to a packed audience in the EU projects zone, outlining our vision, progress and details on our upcoming pilot sites. DELTA also proved a hit with host media publication, Smart Energy International. 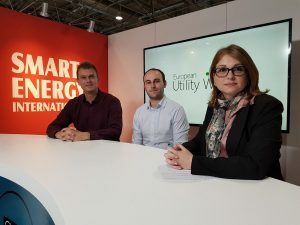 Project partners from CERTH and Carr Communications were invited to discuss DELTA in Smart Energy International’s studio. You can see the full video on their YouTube channel here. 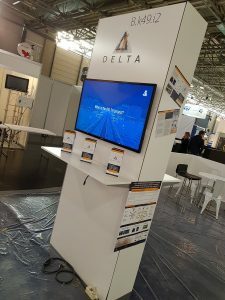 European Utility Week represented the type of activity which is central to the DELTA project over the coming years. To network with like-minded companies and initiatives, to keep on top of the issues which affect our sector and to always look to collaborate where possible.